For companies that are purchasing equipment for their business, HomeTrust Bank’s Equipment Finance Division offers creative financing strategies. Equipment Financing provides the structure needed to manage tax and accounting issues while offering flexible, customized repayment and end of lease options. Our equipment financing solutions include leases, commercial finance agreements, and equipment loans. At HomeTrust Bank, we design a strategy specifically for each client that is tailored to fit their individual requirements. Meet our Equipment Finance team, complete a brief form to describe your equipment finance needs, or apply for equipment financing today. 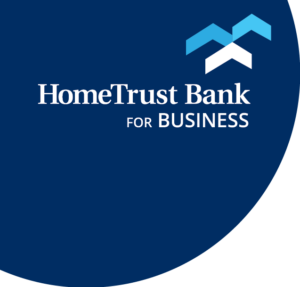 For transactions less than $350,000, HomeTrust Bank Equipment Finance provides fast and efficient financing through their application only process. Upon completion of the one-page application, most credit decisions will be delivered within 1-2 hours. Up to $350,000: Construction, Machine Tools, Manufacturing, and Agricultural equipment. Up to $250,000: Transportation, Material Handling, and Printing equipment. Up to $150,000: For all other Equipment Types. Leases: Fair Market Value (FMV); TRAC; Split TRAC; and $1 out leases are available. Leases, Loans, and CFA’s are all available for one or more assets. A Master Agreement can be utilized for approved lines of credit. Multiple equipment schedules are offered as equipment is purchased and financed throughout the year. Manufacturing – Machine tools, injection molding, metalworking, woodworking, etc. Contact the Equipment Finance team now and take your business to the next step.